The furniture is made of steel sheet and the enamel colored polymer. 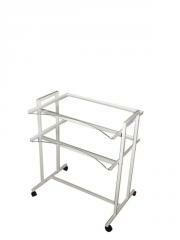 The kit includes two mobile doctor pedestals 5 drawers with removable stainless steel surfaces + glass. The table consists of two pedestals 4 drawers and cabinets 3 audio box. All drawers Fully retractable with closers. Table top is made of stainless steel. The original structure are two massive lateral uprights, providing easy access for cleaning under the table, as well as attractive appearance. 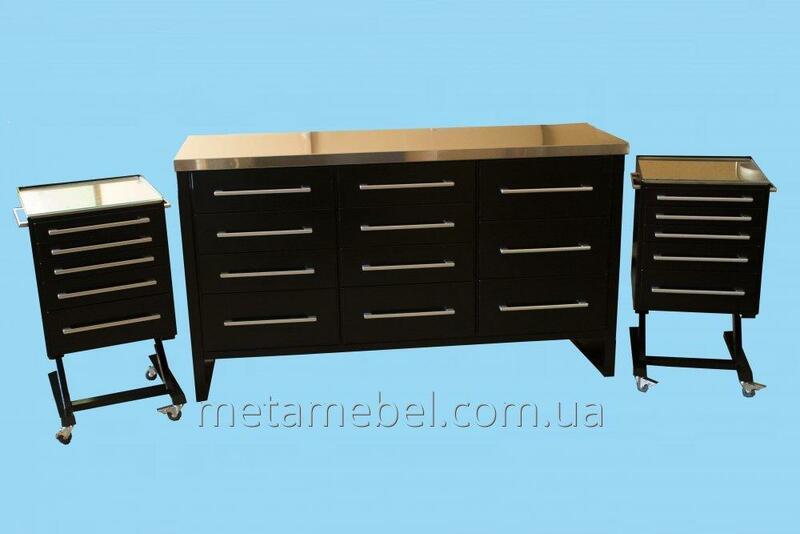 Unbelievable price on A set of furniture for the medical hall metal black in Kharkov (Ukraine) company MetaMebel. 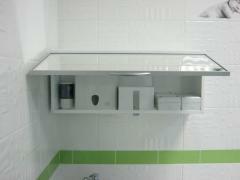 Sanitary modular block. Furniture set.